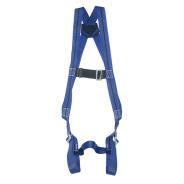 1 Point harness, rear anchorage. 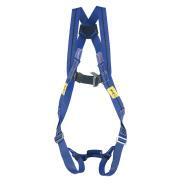 Cost effective choice for fall protection. Adjustable design so one sizes fits all. 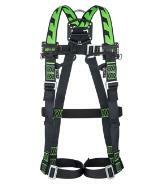 2 Point harness, rear & front anchorage. Adjustable design so one size fits all. 2 Point harness, rear anchorage. Stretches with the user's movements. Webbing repels water, oil, grease & dirt. Ideal for On-shore wind energy applications. Front webbing loops and rear anchorage. 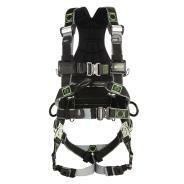 The ulimate harness for utilities. 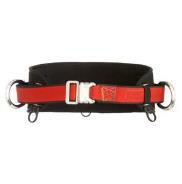 Duraflex® webbing stretches to movement. 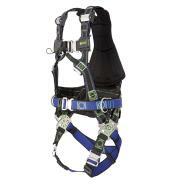 Easy movement for ascent or descent. The pinacle of fall prevention equipment. 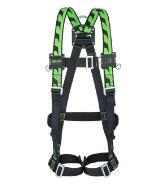 2 Point - front webbing loops & rear anchorage. Work positioning side D rings.